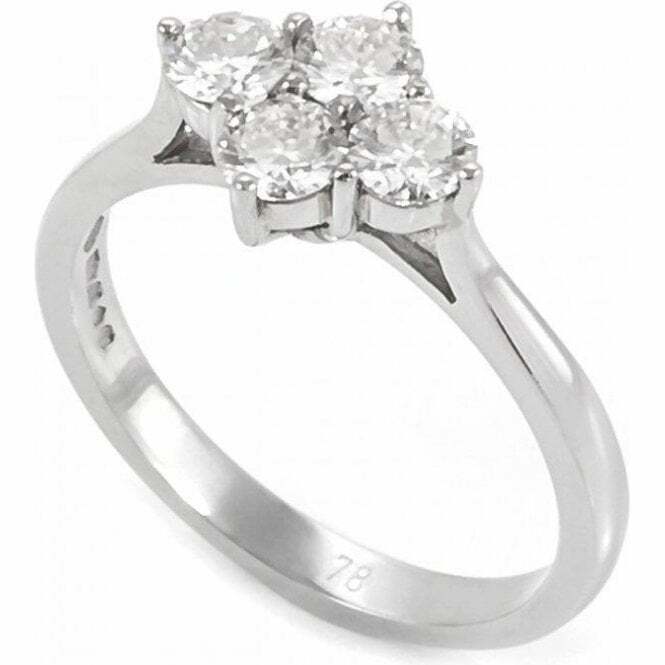 Ring: 4 stone Diamond with platinum claw setting mount with plain shank. Diamonds brilliant cut,total weight 0.78 carat. Platinum set oval/pear shaped diamond 3 stone ring.